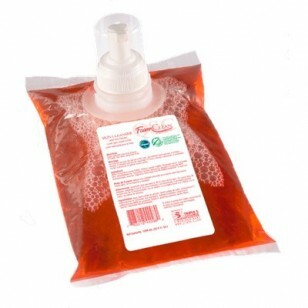 Foaming Hand Soap leaves hands feeling clean and smelling fresh. 0.5% Triclosan formula produces a luxurious foam that wont over dry skin. Fits SSS44171 Touchless Dispenser or SSS44099 Soap Dispenser. 1000 ml bags. Packaged 6 per case.